Dance/USA hosted its 8th Annual Conference in Austin, TX from June 8-11, 2016. 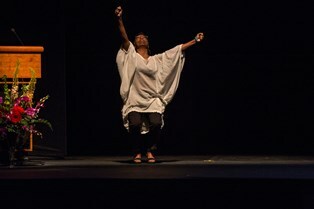 From executive directors and emerging arts leaders to managers and presenters, agents and artists, nearly 500 individuals associated with the professional dance field convened for networking, creative conversation, enriching training sessions, discussion on important issues facing the field, and performances. Watch the 2016 Opening Plenary Session! The Opening Night Celebration featured the Dance/USA Honors Celebration where recipients of the Honors, Ernie (named for the late Ian “Ernie” Horvath), Trustees, and Champion Awards received honors from Dance/USA and the local community. This extraordinary event is cause for reflection upon these individuals’ contributions to dance in America and an acknowledgement of the roles they play in the national and local dance community. Video edited by Joe Rocha, KLRU-TV, Austin PBS. Programming at the Conference was a mix of discussion-based sessions and practical breakout sessions. Broad questions that drove programmatic content and conversations was: How will we continue to finance dance; How will dance deal with constant technological change; and What is the social responsibility of dance? The core value of equity and inclusivity served as a lens by which the design of all topics and sessions passed through, including but not limited to the diversity of voices being presented, addressing the needs of the diverse group of Conference attendees, and designs that allow for active discussion. Thanks for joining us in Austin to learn from industry experts and be inspired to advance dance together in business and on stage at this exciting national convening! The 2016 Annual Conference was campus style to showcase the beauty of Austin's local arts venues. Dance/USA also partnered with an area hotel to provide special rate accommodations for Conference attendees.